Last week I had what can only be described as the Best Radical Babe Day Out Ever (TM). 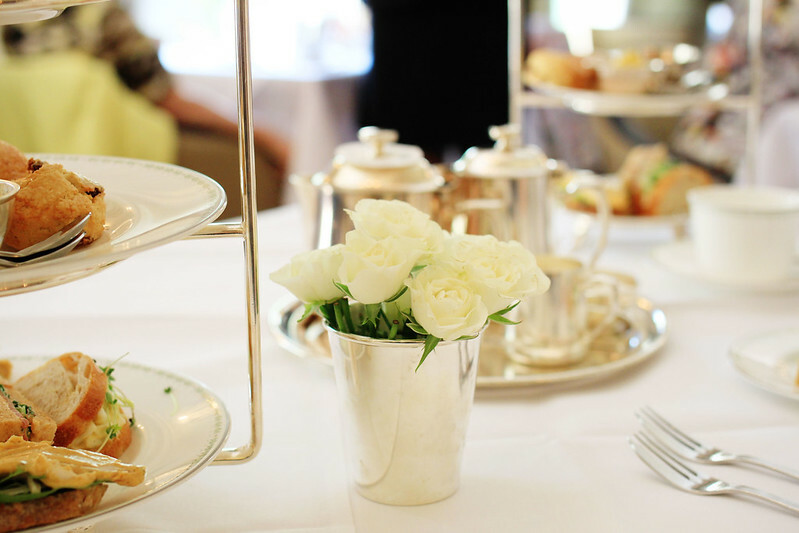 After a pretty raucous night out in Sheffield, I dragged my hangover over to Harrogate for a day of luxury pursuits – shopping, afternoon tea and beauty chat with Sali Hughes. 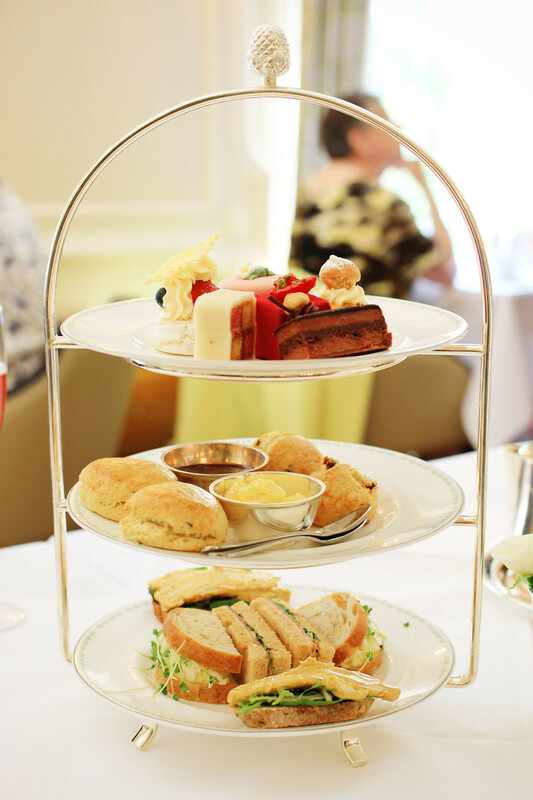 I’d been invited to Bettys in Harrogate to try their Lady Betty Afternoon Tea which I combined with Sali’s beauty discussion, a Harrogate Literature Festival event I’d booked a few weeks before. Along with aforementioned radical babes Lil and Nic, I arrived at Bettys for 3pm and settled down for an afternoon of indulgence. I’ve lived in Yorkshire all my life so obviously I’m familiar with Bettys, a Yorkshire institution. I’ve been to both the York and Ilkley shops but never Harrogate, which is the original 1919 location. We had a reservation for our afternoon tea so swept past the very long queue and headed straight upstairs to the Imperial Room, where a piano tinkled and sun streamed in from windows that overlooked the Montpellier Gardens. Everything, from the crisp tablecloths to the huge floral displays, was dazzling white. It was absolute heaven. We started with drinks – a special rhubarb cocktail that tasted like a Yorkshire summer in a glass alongside pots of Earl Grey, Darjeeling and Bettys Afternoon Tea Blend. 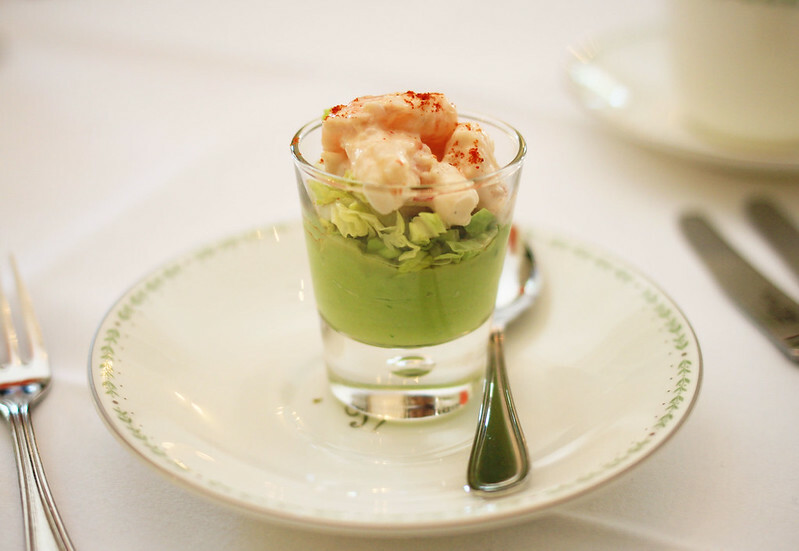 Before afternoon tea was served, we enjoyed an appetiser – a delicious prawn cocktail with avocado puree – and a savoury selection of smoked salmon and gala pie. 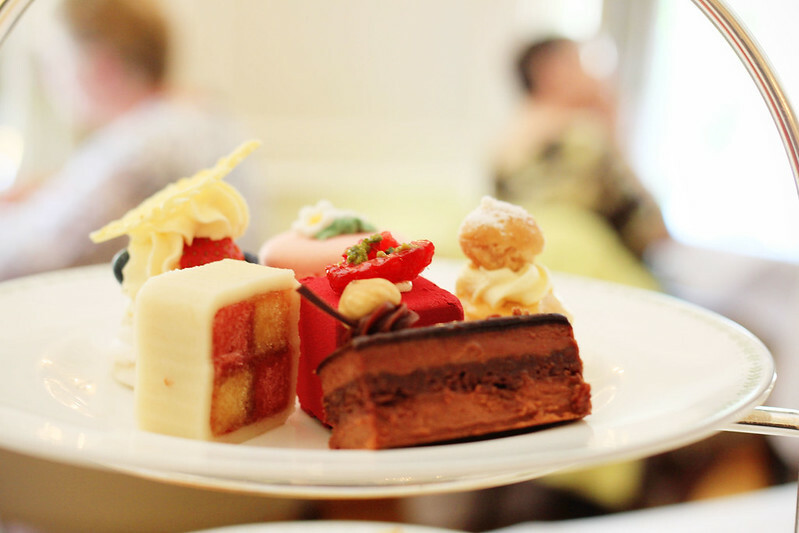 Then came the main event – two cake stands filled with light sandwiches, warm scones and rich desserts. I love finger food and think afternoon tea is such a gorgeous way to enjoy a meal – all that picking and choosing, trying a bit of everything, sweet before savoury if you fancy… it flies in the face of conventional eating rituals and I think that’s great. We sat at our table for nearly two hours, chatting, eating, enjoying extra sandwiches and tea refills and generally living our very best lives. It was such a beautiful afternoon – we were surrounded by groups of girls, couples, female friends and families just thoroughly enjoying themselves. I remember a few years ago Bettys had a ‘no mobile phones’ policy which made it feel a little ~posh~ but in that airy space everyone was snapping away, staff were taking photos of big groups, people clinked glasses and we clapped along to Happy Birthday twice as little cupcakes with candles were trotted out. 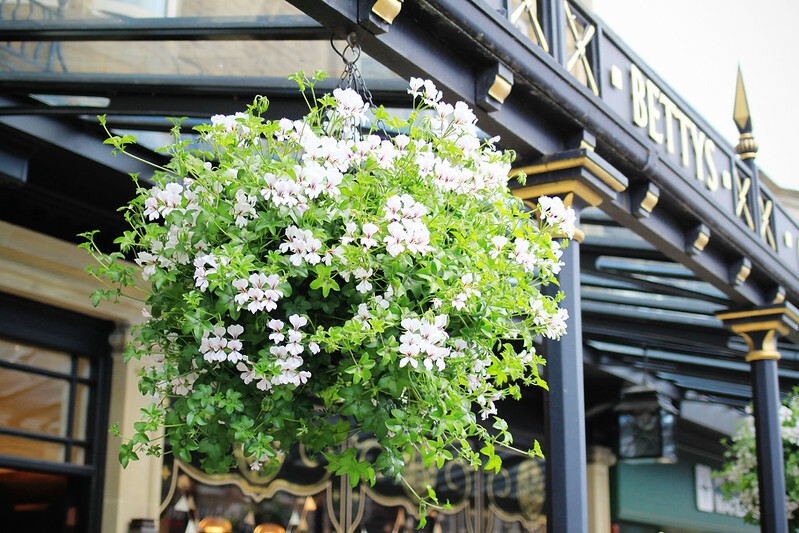 When we finally rolled out onto the street, we headed to the Crown Hotel and spent another enjoyable few hours listening to Sali Hughes talk all things beauty before heading back to Leeds feeling on top of the world. I actually think the Harrogate shop is nicer than York – the upstairs space is totally gorgeous. I’ve literally been sat here reading this out to my fella, hinting! This looks absolutely lovely. Was the queue quite big then? I’m so bad for not booking in advance, I always forget. It was pretty long at 3pm on Sunday – I’d definitely recommend booking ahead, especially because you only get to sit in the upstairs bit if you’ve booked and it’s such a gorgeous space! This looks and sounds incredible, I’m going to have to add it to my list of places to visit! definitely somewhere i’d love to go one day! i don’t like rhubarb or eat seafood/fish but it still all looks delicious!